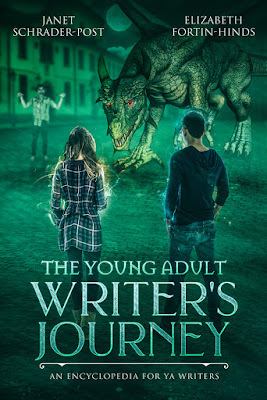 Welcome to my stop on the virtual book tour for the non-fiction novel The Young Adult Writer's Journey by Janet Schrader-Post and Elizabeth Fortin-Hinds. 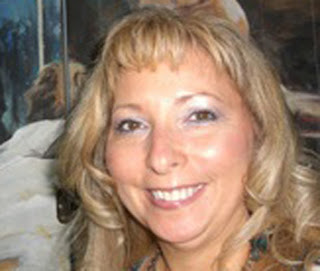 This book tour was organized by Goddess Fish Promotions. On my stop, I've got an excerpt for you as well as a guest post about Elizabeth Fortin-Hinds' favorite YA novels. There's also a tour wide giveaway at the bottom of this post. Be sure to visit the other blogs on this tour for more exclusive content. You can find a list of participating blogs here. Enjoy! To illustrate the hero’s journey, it’s easier to understand in the context of a classic young adult book/movie, such as Harry Potter, already used to illustrate points throughout this book. It will be broken down for you according to the different stages in The Hero’s Journey, with particular attention to how the journey relates to a YA hero/heroine, the focus of this entire book. There are honestly so many YA novels I love that this is a tough question. Off the top of my head, here are 5 that I enjoyed. 1. The Giver by Lois Lowry: This is one of the very best YA novels for making kids (and adults) think about the ramifications of political agendas and sociological issues. Compelling and thought-provoking, it raises moral issues and presents the complex consequences of choices made for the “common” good and betterment of mankind that have serious consequences. This novel is usually presented in middle school, when kids are just beginning to struggle with social conformity and moral issues. 2. Beautiful Creatures by Kami Garcia & Margaret Stohl: Okay, so you have star-crossed lovers and magic. What’s not to love? Add a quirky family and funny if somewhat stereotypical townsfolks who are both busy bodies and would-be bullies and you have all the makings for a fun romp. 3. Harry Potter by J. K. Rowling: Who doesn’t love Harry Potter? My daughter ‘grew up’ with Harry Potter and was one of the first visitors at Hogwarts in Universal Studios, and when it first came out, I was using classroom sets amidst parent concerns that we were teaching kids to use witchcraft. Kids who didn’t like to read were actually reading, even middle grade boys! Always a winner in a YA book, as far as I’m concerned. It’s some of the best world building ever! 4. A Court of Thrones and Roses by Sarah J. Maas: A wonderful spinoff of Beauty and the Beast. So many wonderful high fae and fairies and various other creatures. Another example of interesting world building. I suppose being an artist made me love that the main character was a painter, too. She viewed things like an artist, thinking of how she might paint it, and I related to that. The characterization was well done, making me relate to the heroine, and through her eyes, the hero. I’m not usually a fan of first person, but when done right it’s very powerful. 5. Red Queen by Victoria Aveyard: It’s been a while since I read this one, but I appreciated the vague take on Cinderella. The heroine was relatable, feisty and brave. She didn’t let fear stop her from helping her family and trying to overcome a dystopian world. The authors will be awarding a $25 Amazon or Barnes & Noble gift card to a randomly drawn winner via Rafflecopter after the tour. Be sure to leave a comment at a different blog on the tour each day to increase your chance of winning. You can find a list of participating blogs here. Good luck! Thanks, Bridgett! We were thrilled when it came from the graphic artist. Thanks for taking our tour, Rita. We're glad you enjoyed it. Great resources!! I think this book could be beneficial to many. Thanks, Amy. We are hoping so. It looks like a very helpful book.Thank you for sharing it. It's been great funny having you along, Victoria. My daughter loves to write teen fiction in her spare time. She would enjoy learning from this book. Thanks, Dianna. I hope she likes it. Thanks for hosting our book, Heather. We really appreciate it and had a great time on our tour.